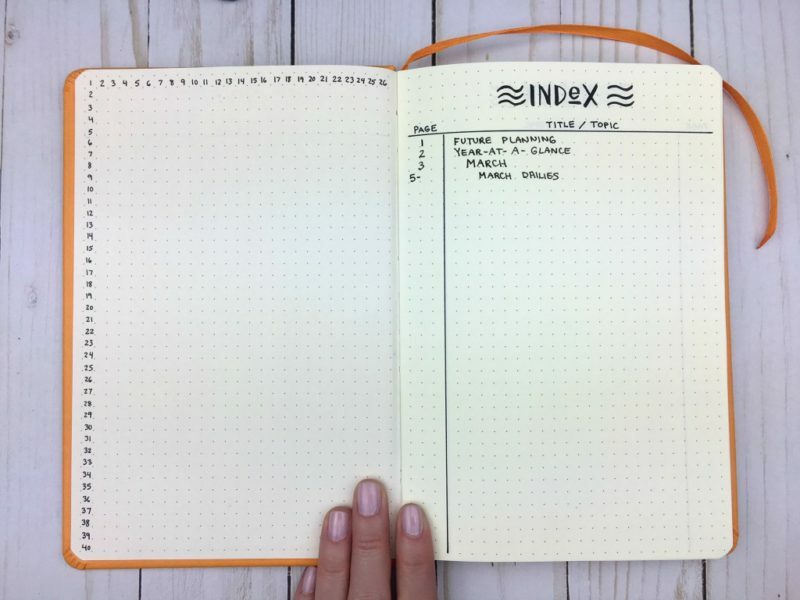 The Rhodia Webnotebook is a fantastic choice for Bullet Journaling. I put this notebook to the test to see if it really has the BEST paper in the world. This post was sponsored by Exaclair (Rhodia & Clairefontaine). Hey there! I am so excited to share this post with you guys. If you follow me on Instagram, you know I have a new notebook in my life. 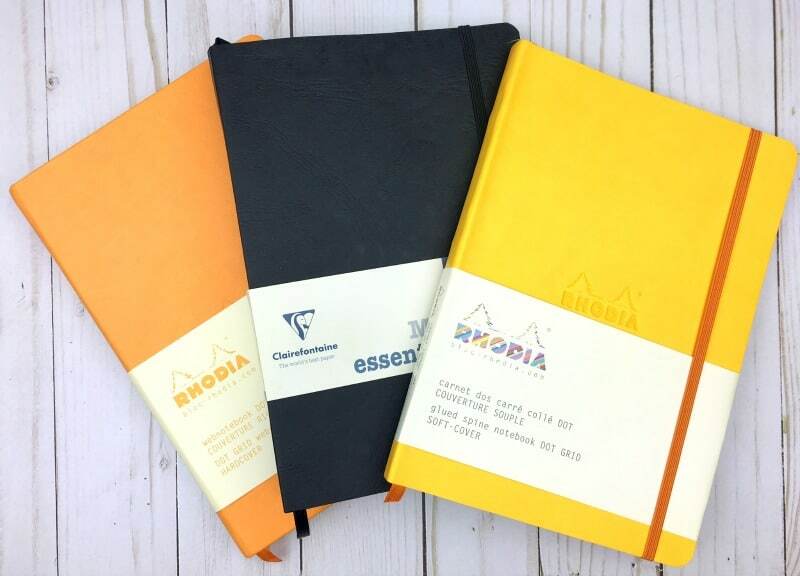 I almost had a fangirl meltdown when the folks at Exaclair reached out to me about doing a review (Exaclair, Inc. is the U.S. distributor of Rhodia and Clairefontaine products). I didn’t hesitate for a moment. 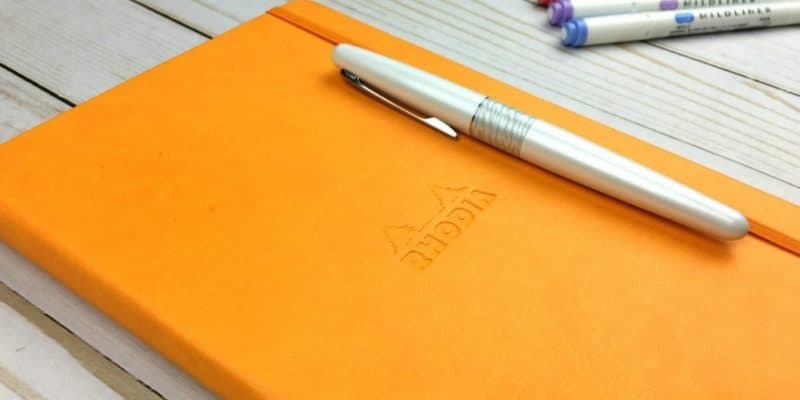 I’m a huge fan of Rhodia’s dotted notepads (for handwriting and lettering practice), so the Rhodia Webnotebook was already high on my list of notebook option for Bullet Journaling. The main reason I love Rhodia products so much is they use Clairefontaine paper (**clouds part, angels sing**). A little background: My family lived in France for a few years of my childhood, and all my school notebooks were Clairefontaine. The paper has a distinct feel. Anyone who has used it will tell you it’s unlike anything else in the world. It’s velvety smooth and tailor-made for fountain pens. So, yes, I was waxing nostalgic at the prospect of being able to share it with you! The Rhodia Webnotebook is a hardcover with dotted paper. The Clairefontaine My Essentials. This is an interesting option because it has a pre-printed index, page numbers, and grid-lined paper. It’s a paperback softcover. The 3rd option is very much like the Webnotebook, but it’s a flexible leatherette cover rather than hardbound. It also has fewer pages (80 sheets). The Exaclair website has more details on all 3 notebooks. 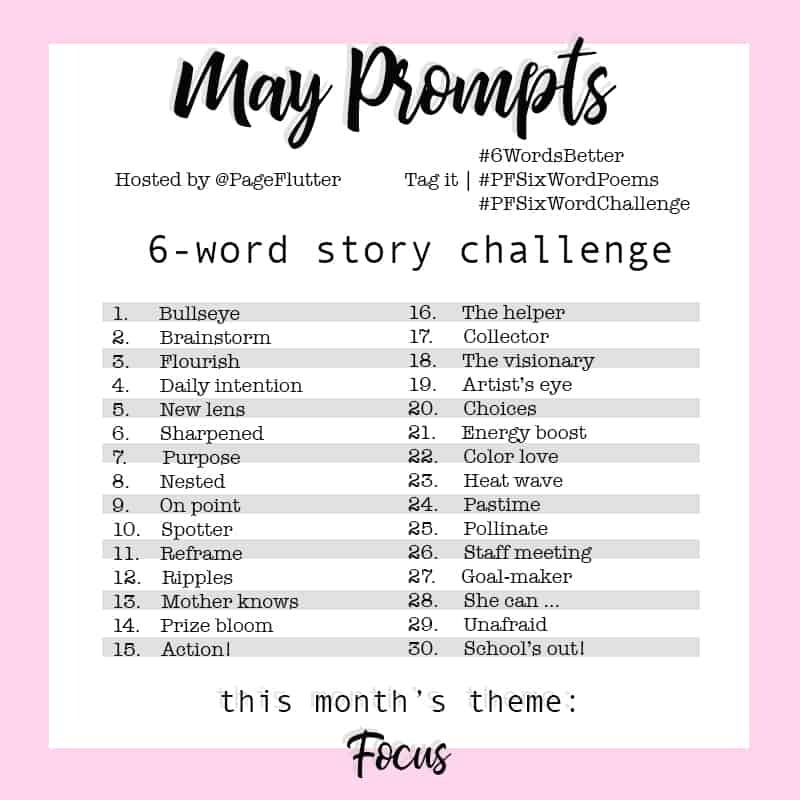 I’m going to focus on the one I picked for journaling. 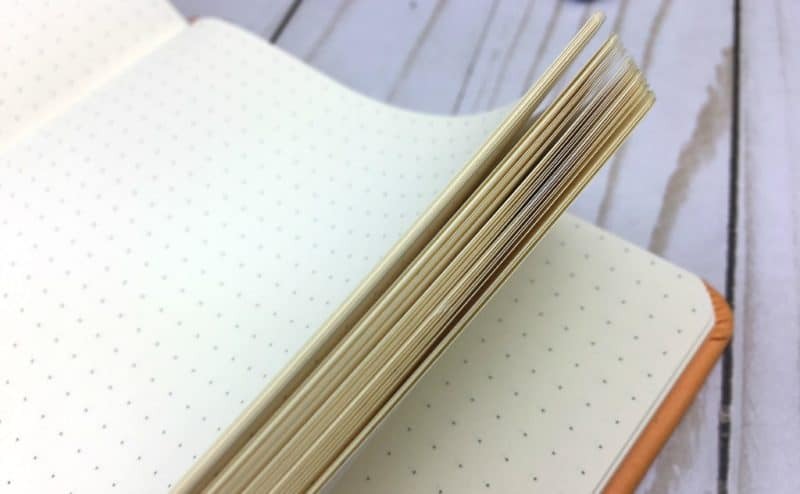 I firmly believe that any notebook can be used for Bullet Journaling, but experience has also taught me that I enjoy the process more when I have reliable supplies. 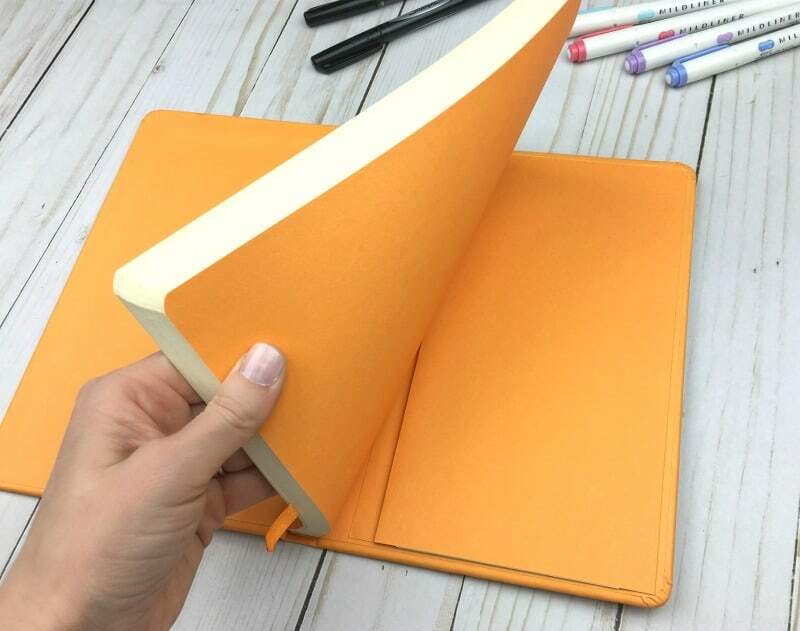 I prefer a hardcover with dotted paper for my journaling, so I chose the orange Rhodia Webnotebook (or “Webbie”). It comes in different sizes, but this exact one (A5 size) is called the “Desk Webnotebook” on the website. I wanted to put this notebook to the test before writing my review, so I moved my everyday Bullet Journaling (planning, monthly spreads, weekly spreads, and dailies) to the Rhodia about a month ago. Price: Usually between $17-$20, but check with your Rhodia vendor. Note: J*B Welly also carries Rhodia Webnotebooks. They have the best customer service of any stationery shop I use. Let’s start from the outside, shall we? Maybe you shouldn’t judge a book by its cover, but a journal is different. A journal needs a good cover. I take mine everywhere, so it has to take a beating. I love the way this cover is made. It’s a hardcover finished with leatherette that cleans easily and the color doesn’t flake off. My pen opened in my bag and smeared all over the cover, but it wiped right off with a damp rag. It has an elastic closure and a ribbon marker. I prefer having a few ribbons, but I have yet to find a notebook with enough ribbons for my liking. Forget more cowbell; I need more ribbons! This one was still handy, and I especially like the material Rhodia uses for their ribbon. It’s nice and thin, so the pages don’t get mangled where it tucks in. The back of the journal has a pocket where I keep my ruler and any stickers I need. For me, a pocket is non-negotiable for bullet journaling. This pocket is deep; it covers the entire back cover and opens toward the spine. I’ve had other notebooks with little half pockets, and things were always falling out. No danger of that here. Ok, let’s talk paper. This is hands-down, THE BEST PAPER I have ever used. No contest. It’s 90g Clairefontaine paper, so it doesn’t feather or bleed, and ghosting is minimal. I caught myself (on more than one occasion) stroking the pages before I wrote on them. Not smoothing them. Stroking them. It’s not just me, right? Drop me a comment below if you have the same reaction to this paper. I need to know it’s not just me! The dot grid is light grey, and the dot placement is identical on each page. Thank goodness; it drives me nuts when each page is cut differently and the dot pattern is all over the place. These are perfectly uniform. For me, the paper is the distinguishing feature of this notebook. Clairefontaine has been around since the 1890s, but right now it’s the only European stationery brand still making its own paper. That’s part of how they keep their quality so high. I also feel good about their production process. 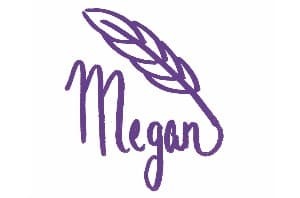 They source from sustainable forests, and are leading the paper industry in other green ways. Since we don’t always know the backstory of products we use, it makes me happy when my favorite brands get it right. On the very first page, I numbered the grid boxes. Knowing how many are on each page (width and height) makes it easier to design page spreads. For reference, Rhodia Webnotebooks are 26 boxes wide x 40 tall (not counting the gutters). Handy trick, huh? I was so excited to get into this journal that I abandoned my old one before it was finished. Ahh! To reconcile this, I kept my collections active in the old journal and moved only my planning pages to this one. Without the collections, the index is fairly basic (I’ll close my March dailies somewhere around page 30). Since the Webbie doesn’t have a pre-printed index, I drew a quick one in the first few pages of the notebook. I prefer to make my own index, anyway. Same goes for the page numbers. They aren’t printed in this notebook, but I really don’t mind numbering as I go. I tried a new future planning layout in this notebook. 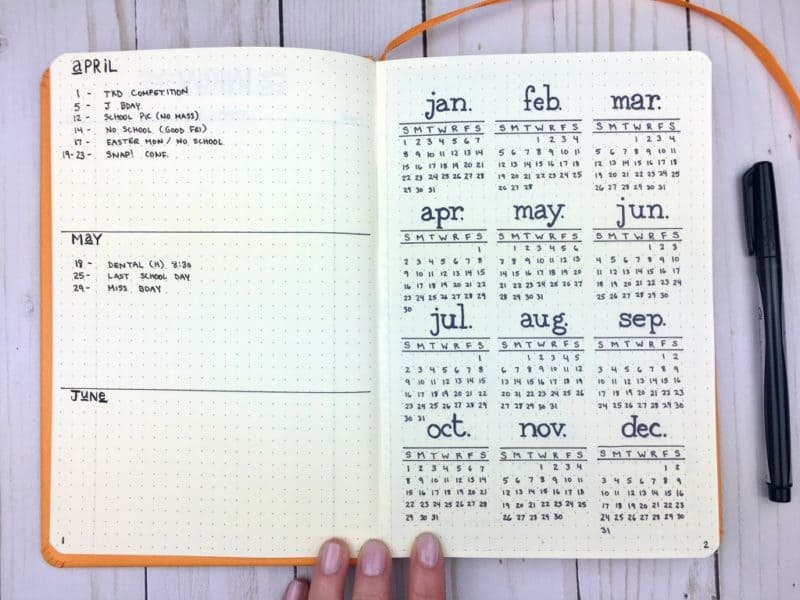 It’s super simple to setup, and I wanted to see how it would work for a mid-year journal. It was a nice change of pace, but I’ll probably go back to my trusty column method. As always, I drew my year-at-a-glace page (and promptly messed it up, so I pasted some loose dot grid paper over it and redid it). I always mess up one page at the front of a new journal. Hey, it’s tradition. I just roll with it! Then I was able to get on with my regular monthly page, weekly pages, and dailies. I’m really happy with my weekly pages right now since they give me the best of weekly planning and daily planning. Last month I noticed my days were getting away from me, so I’ve added a daily timeline. This has helped me tremendously. I wrote out a simple timeline and used my Mildliners to color-code the hours. I was happy these colors didn’t bleed or ghost at all on this paper. For a couple of weeks I used this notebook for my morning pages, also, but I decided I shouldn’t use nice paper for those. I explain why in this post. My experience with this notebook has been thoroughly enjoyable. My favorite part is the paper, but it doesn’t end there. 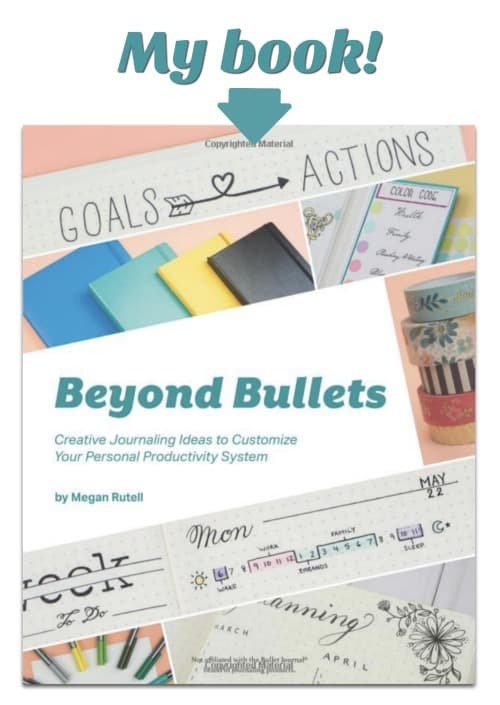 The cover has a great texture that’s comfortable to hold, the dot grid is unobtrusive and uniform, and it has my vital must-haves for bullet journaling (the pocket, elastic closure, and ribbon marker). I would love an extra ribbon (or 2 or 3), and some bullet journalists may miss the printed index and page numbers. But as far as I’m concerned, this should be the default notebook for fountain pen users. Although I use a fountain pen in some of my other journals, they don’t take the wet ink nearly as well as my Rhodia Webbie. This paper outperforms any other notebook I’ve tried. 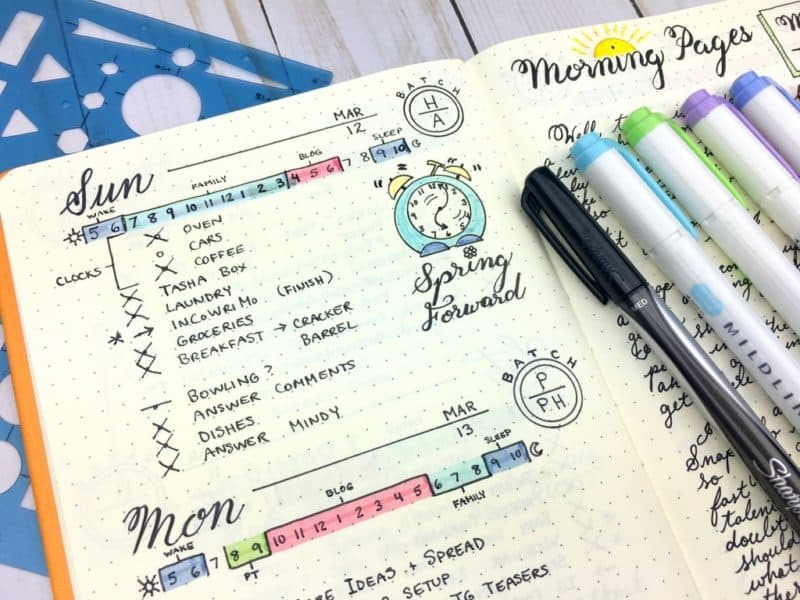 Most of us started with bullet journaling to enhance our lives, make it less complicated, and to have more adventures. We should have notebooks that holds up to the lives we want to live. The Rhodia Webnotebook is fantastic companion for that journey. Grab one for yourself at J*B Welly! Your turn! 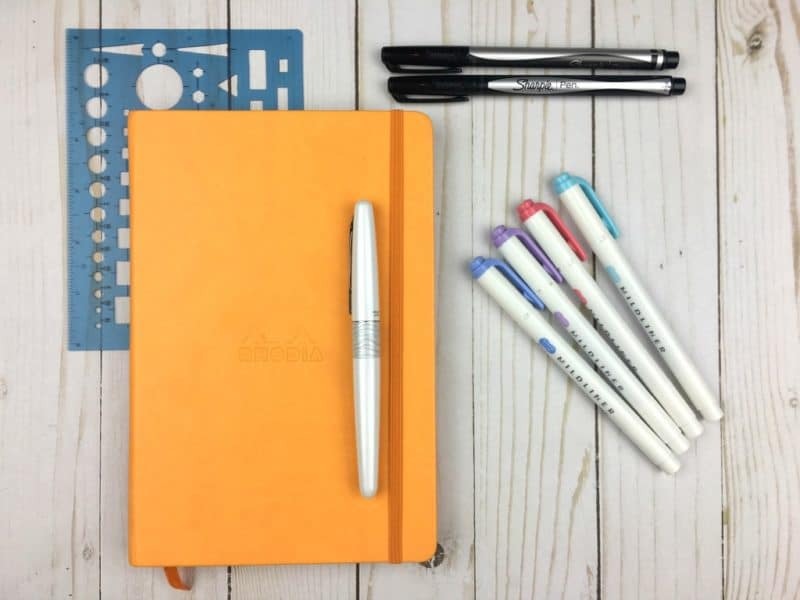 Have you used Rhodia products, and what did you think? Please tell me I’m not the only one who can’t keep her hands off this paper. This post may contain affiliate links. You never pay more, but I may receive a modest commission that supports the running of this website and the free content you love. I couldn’t agree more with your review. I’ve tried a number of journals but none compare to the quality of Rhodia. And, yes, I stroke the paper too! Great review- I would also be interested in how you are going to use the other two journals. And your impression of them as well. I’m glad I’m not alone! I haven’t decided how I’ll use the other notebooks yet. Maybe a giveaway? 😉 The softcover Rhodia is very similar to the Webotebook (same paper, different cover). I did notice that the Clairefontaine My Essentials has a different grade of paper. The paper is still very nice, but not quite to the level of the Rhodia. Another stroker here! ;) I’m nearing the end of my first Rhodie (softback). It’s perfect for me: I can get three months in one, with a few pages to spare, and although my last LT lasted from August to December I think I prefer the regularity of this. 4 journals per year, bang, done. 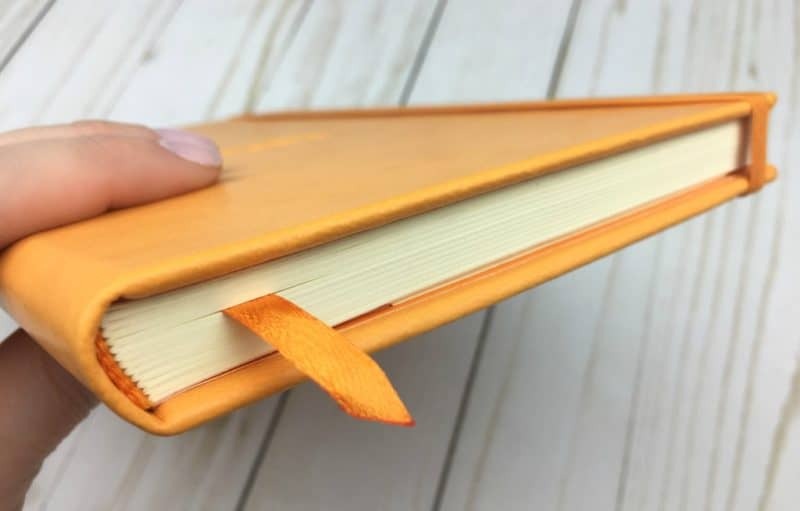 I have to admit that I agree with Kara (over at Boho Berry) – in her review of one of these, she noted that the bookmark is shorter than in the LT, and as a result I don’t use it in my Rhodie – I just stick it in the back and use two of those magnet style bookmarks (that fold over the page?) instead. That works very well. One advantage to the softback, and the thinness of the cover, is that you can cover it, much like you might cover a hardback book, with loose paper (i.e. not stuck to the journal in any way). In order to give it a bit more rigidity, i stick the paper to cardboard from a cereal box, folded to fit around the journal, and if you wanted to give it more protection still, I guess you could cover the paper with sticky backed plastic. I’ve not bothered with that though as the paper I use is fairly thick and has a sort of sheen/varnish to it that makes it a bit more hardwearing. If you want I could send you pictures showing you what I mean. I don’t have collections in my Rhodie, I keep those in an LT, where the numbering of pages comes in useful. I don’t page number the Rhodie, as without the collections, it’s easy to find anything as it’s all in date order. I mention this, because I have to say – when I go back to that LT to add a collection or write in it, I am struck by the quality of the paper, how much rougher it feels than my Rhodie. Clairefontaine has spoiled me forever now! Do you prefer this notebook to the LT? That’s hard to say. They’re not necessarily better or worse than each other, but they are different. The Rhodia has much better paper for fountain pens, and I prefer the texture of the cover. The LT1917 is pre-numbered and has 2 ribbon markers (3 in the official Bullet Journal). It really just depends on what you’re looking for. For me, it’s a toss up. I am almost ready to transition into a new notebook, but want to try a different journal from my LT1917. My biggest concern is paper quality and the webbie is at the top of my list… but here is the thing… I’m a lefty! I worry about the paper not being as absorbent and smearing as I write. I do not use a fountain pen but I do enjoy my InkJoy gel pens. With my LT1917, the ghosting is out of this world. I understand it is inescapable, but it bothers me that I can see through one full page and easily read what was written on the page before. Smearing is also a common issue for me with most of my pens (besides PaperMate Flair). Although the paper in the Rhodia is amazing for righties like me, I can see how it might be too glassy smooth for your needs. You might check out the Blackwing Slate Dotted notebook. It’s a little more absorbent than the Rhodia paper and very thick, so ghosting is minimal. You can grab one here:(https://alexa.design/2pn2KZx ) <<that's an affiliate link. They're also available at jbwelly.com (They give 10% off with the code "pageflutter"). I really hope that helps. Let me know how it works out for you!